Artistic Director of Avalouna: Tribal Fusion Bellydance. I once read a blog in which the writer hadn’t posted for sometime, but said she had read never to apologize for going MIA for awhile, so she wouldn’t and neither will I. Suffice it to say that since my last post, it’s been a rough year personally. A little catch up for you, in July I performed at Furlesque at Mable Peabody’s in Denton, TX as the Raven Queen and it was a blast. I got a new job, made some pretty things, sold some pretty things and then in October everything changed. One day I got off work early, did some errands, ended up at a friends house, freaked out, went home and two hours later it had been decided. I was moving to Los Angeles. So a week and a half later, with my apartment packed up awaiting movers to stow everything that would not fit into my Honda Accord I started driving west with my dog Sally. Prior to leaving I spent time with my best friend David (we went to see Crimson Peak, the first movie we’d ever seen in a theater together!) and had some fun shenanigans. I saw a few other people, tried to sneak in visits to my favorite places in Dallas, spent my final weekend there with a wonderful person, we went to see a movie (also our first time seeing a movie in a theater, I guess it was a theme), went to eat at favorite places, visited the Dallas Museum of Art, found a wonderful little French bistro where we had desert and coffee, watched more movies and finally I performed my last show as a Dallas Bellydancer, a solo at A Sunday Soiree’s Monster’s Ball. Before the show I popped into The Labyrinth, a wonderful little witchy store and across from it a shop named Voodoo Chile, a thrift store that is amazingly weird, run by a man who played guitar for Jimi Hendrix at the Whiskey A Go-Go back in the day. Leaving was easy. It’s been difficult getting used to my new surroundings. I’ve started taking classes at Aubre Hill’s Movement Art Space with Jenn Aguilar and will be performing in the Bellydance Nutcracker on Saturday and MAS’ Winter Recital Sunday. I return to Dallas for the very last 3rd Coast Tribal Festival the 7-11 (ish) of January where I will be performing a solo on Saturday night of the festival. It’s getting easier and I feel very much like I do when I see the lights of downtown Dallas as when I see the lights of Downtown Los Angeles now. So there’s the catchup! I promise I’ll be posting more and keeping you all up to date with my LA adventures. You can also visit http://www.starsinroses.wordpress.com to read more about the lead up to my trip, about it and more daily adventures. New Show and Event Additions! Whew! We’ve had a busy few weeks and I PROMISE I’m going to write a nice long blog post about each one soon PLUS we have a big announcement coming up soon! For now, I wanted to check in and let you know our next few events so you can plan to be there! 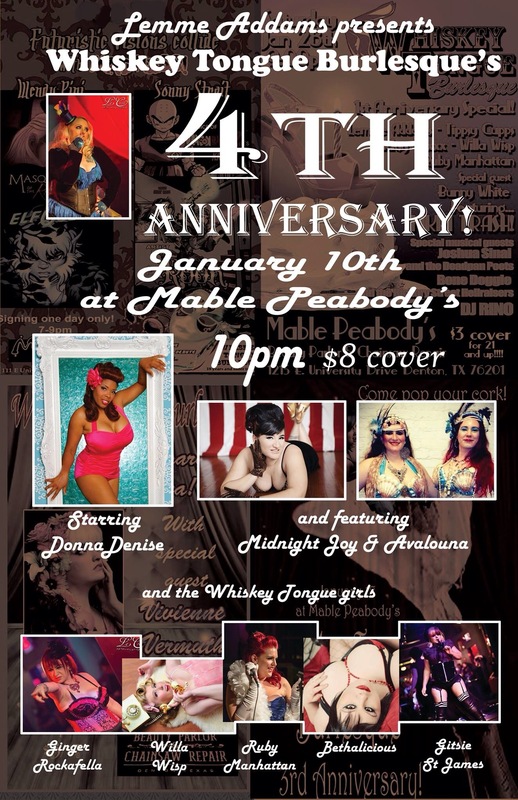 This Saturday at Mable Peabody’s in Denton, TX Avalouna will be appearing in Whiskey Tongue Burlesque’s Gaga A Gogo Again! show at 10pm. 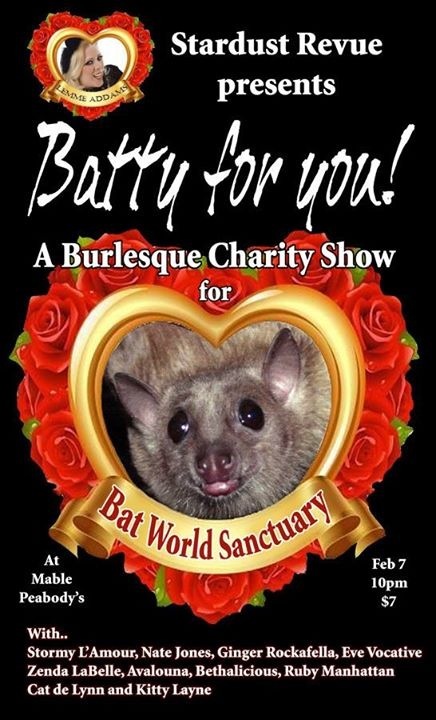 This is our first show since being confirmed as official members if Whiskey Tongue Burlesque, so we’re super excited about it! Come see us do some Bellydancing to Judas and Applause! I’ll also be vending my wares, so come get a pretty. 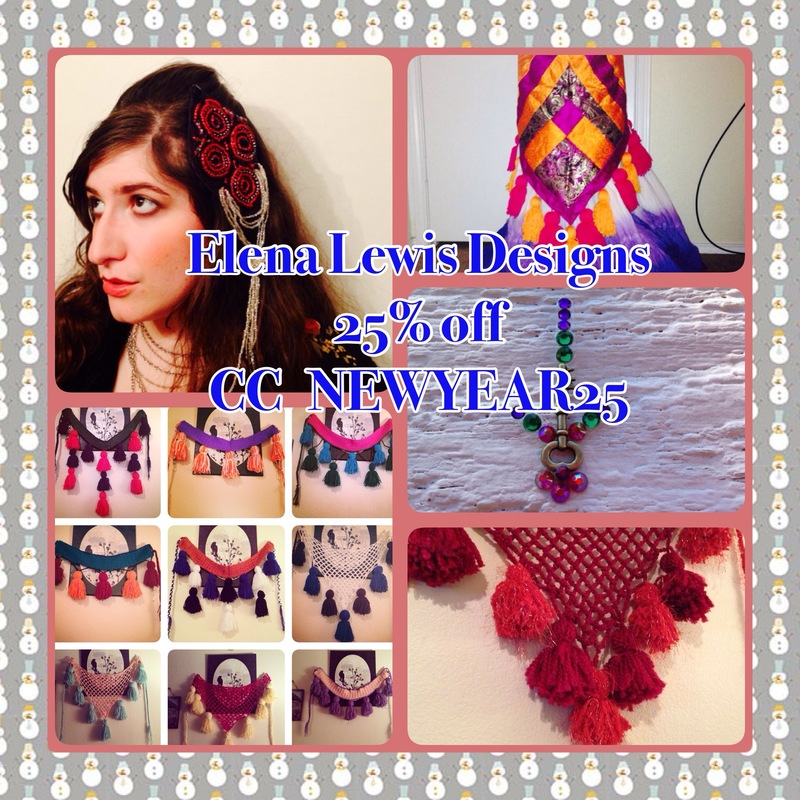 I’ll be bringing mainly my sparkliest stuff from Elena Lewis Designs. Next we’ve got the Monster Improv’s Vintage Jazz Bash on April 10 at 3730 McKinney St Building 135 in Denton, Texas 76208. Avalouna will be performing, I’ll be doing a solo heartening back to my musical theatre days and vending again as well! So dancing and pretties!! Following that you can see us at Avalon Faire in Kilgore, TX April 25-26 on the Treehouse Stage. I don’t have an exact schedule yet, but will post when I do. We will not just have Avalouna, but Avalouna and Friends as some of our girls from Wild Sky Tribal will be hanging out with us and maybe even doing a little dance occasionally! We’ve got a super fun “Renaissance/Elizabethan meets Gypsy Absinthe Party” theme going on. So make plans to come hang out with us. Also, our favorite Pirates, O’ Malley’s Prayer Band will be there, so it should be a good, boot stompin, grand old time. Huzzah! And lastly for this update the first weekend in May is going to be CRAZY!!!! May 1st come see us at Nature’s Rhythm Retreat in St. Joe, TX. 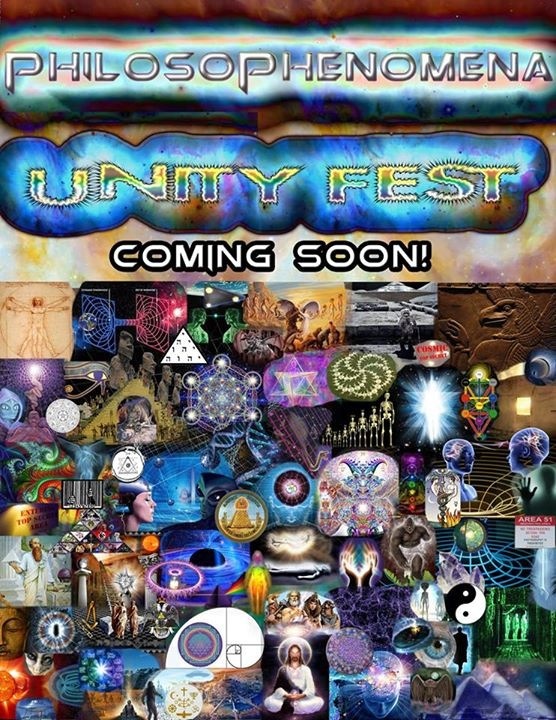 This is a really cool annual event starting off that embraces the feel of a drum circle and takes that feel into an inclusive retreat with drumming, dancing and workshops. Friday I’ll be teaching a 2 hour “Intro to Group Improv Bellydance” workshop, then we’ll have an opening drum circle where you can put what you’ve learned into action with the dancers of Avalouna! May 2nd, Saturday, we will be at Mable Peabody’s in Denton, TX for Whiskey Tongue Burlesque’s “The 60s” show. Avalouna will be a bit beatnik-y with an homage to the last play I acted in and I’ll be perusing Nights In White Satin. 😉 Then Sunday May 3rd, we’ll be back out at Nature’s Rhythm where I’ll be teaching a Chakra Balancing Bellydance workshop and Amber, beloved wifey of mine and mistress of technical things and vending for Avalouna will be teaching a Couples Relaxation and Meditation Workshop.